Half empty: Being a mom makes work harder. Not just in the obvious ways—the sleep deprivation, expanded to-do lists, and childcare disruptions—but also in noticeable shifts in the ways our coworkers and supervisors treat us. As a mom, I’ve experienced these challenges and subtle slights firsthand. As an industrial-organizational psychologist, I’ve had the opportunity to study these experiences in depth. Social science evidence demonstrates that moms (and dads) make daily decisions about how to balance their work and family responsibilities that range from mundane “Can I leave work early to get to soccer practice?” to monumental “Should I go for the promotion that requires an international relocation?” The ongoing, momentary thoughts and feelings weigh heavily on moms. 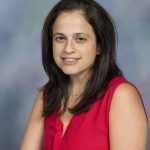 Participants in one of our studies reported substantial amounts of “mommy guilt”: these moms felt that they were not living up to their ideas about what a mom should be. Moms also face other people’s ideas about what it means to be a mom and a worker. My research suggests people’s perceptions of women change the moment they announce their pregnancies. In one study, women experienced more rudeness, hostility, and unfriendliness when they applied for jobs wearing pregnancy prostheses (i.e., pregnancy bellies) than when the same women applied for jobs without the bellies. In another study, moms and dads reported the same levels of commitment, flexibility, and desire for advancement but their supervisors believed that moms had lower levels of all three than dads. These challenges—both the ones that happen in our own heads and those that happen inside other people’s—make it hard to balance motherhood and work. Half full: Being a mom can also make work better. The grumpiness of a 2am wakeup this morning melted with my two-year old’s pigtails, toothy grin, and fierce hug (taken with a carafe full of coffee). The daily walk from my six-year old’s first-grade classroom to my car is almost meditative for me as I bask in her excitement for school. And when I discuss trampoline party plans with my coworker, I get to connect with my peers in new and meaningful ways. Research supports this perspective. Being involved in multiple roles—like being a mom and a professor—can help buffer stress, improve mood, and bolster self-esteem. Knowing I have these little monsters (oops, I mean angels!) waiting for me means that a less-than-perfect presentation can be left at work. Discussing not just work but also family with my colleagues can increase my sense of belonging. Indeed, research has shown that support from people at work can make a huge difference in how women feel about their work-family balance and overall well-being. 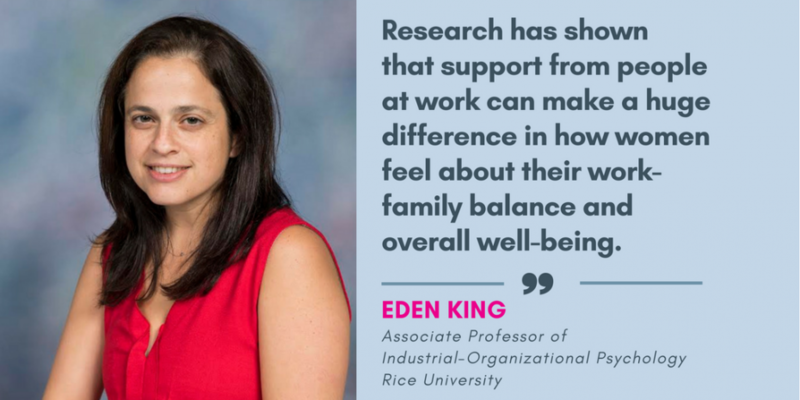 Scientific evidence about work-family balance confirms the half-full-half-empty story that many moms know by heart: being a mom makes work harderbetter. So fill up the glass. With lots of coffee.